Markets got back underway yesterday after a nice little break for our US friends and there was a bit of action to start the week off. It seems to me that it's the currencies from Australian and New Zealand that have been filling our coffers the most recently. Our NZD/USD trade took out our take profit and that got the ball rolling early. From there the JPY continued its strong run and our EUR/JPY short signal found it’s way to another take profit. 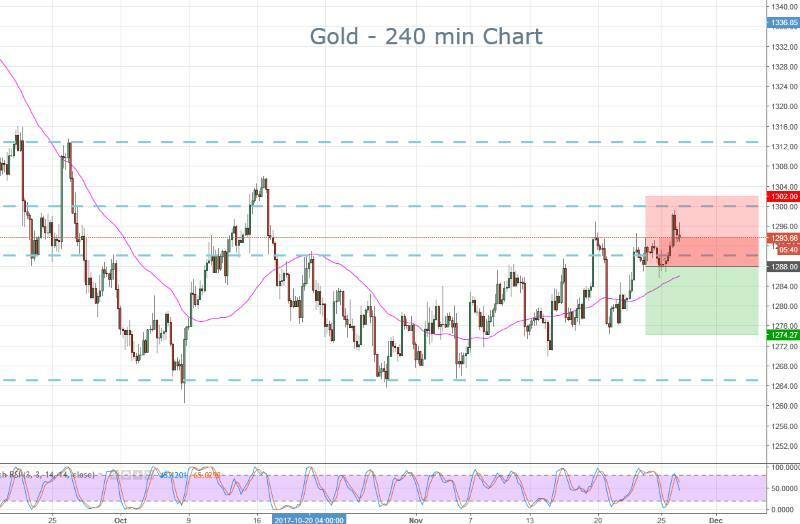 Of our two gold trades, the longer-term position is holding strong however the short-termer got taken out. Overall it was a really nice start to the trading week. As it stands we are still riding our AUD/USD short signal as the Aussie tried to bounce but couldn't. I expect this one to hit our take profit very soon. We also have another open buy signal in the EUR/GBP, thanks to a pullback in Euro. There’s a lot of news around this week so keep the forex signals page open as I expect there to be plenty of opportunities as the week unfolds. Arslan also has his economic outlook and trades ideas out shortly so keep a close eye on that for some potential trade setups. AUD/USD – We are still short the AUD/USD after the Aussie tried to rebound and got smacked back down during the US session. EUR/GBP – The Euro weakness allowed us to secure a nice long entry on Monday. EUR/JPY – The Euro fall might open the door for another signal today in the EUR/JPY. Gold – We are still short in our longer-term gold trade with 1273 to the downside as our take profit target. 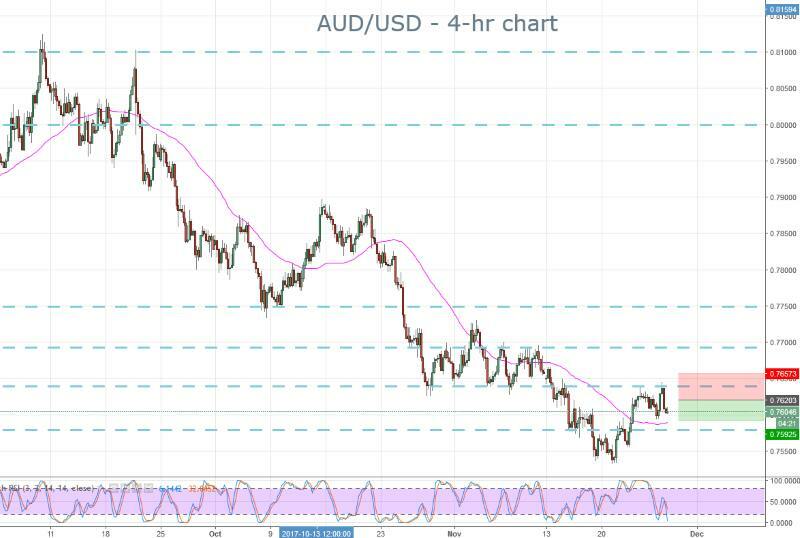 The AUD tried everything it could to rally in the European session yesterday, however when US traders entered it just got smacked back down to earth. We are getting close to our take profit and any USD strength will see us take it out today. Gold has seen a bit of a rally over the last week as the USD has fallen away sharply. Only last week we were literally a few ticks from our take profit target which is annoying. However, with gold around the 1300 level, it allows for more opportunities to sell.